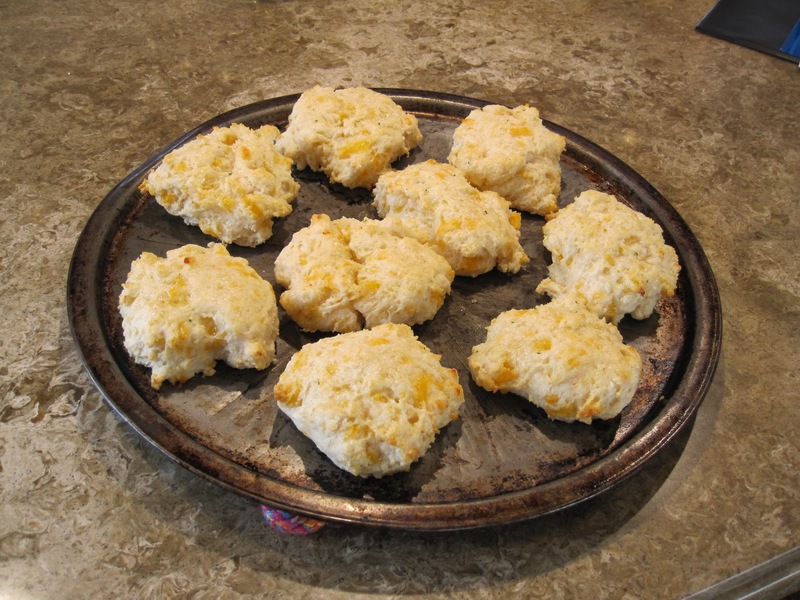 Recently JC got a hankering (southern speak = desire) for those cheesy, garlicky biscuits served in a certain seafood chain restaurant. He researched the numerous recipes for these lovely bundles and this is the result. YUM-O!!! Love love love those biscuits!!! Yummy!